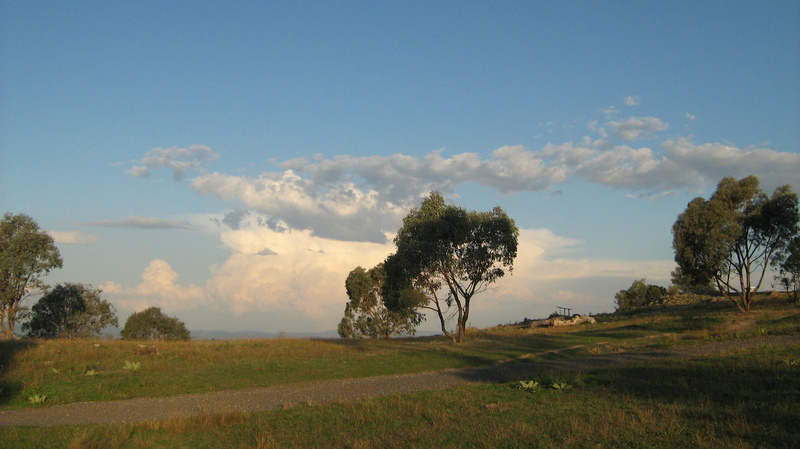 Mt Taylor is my local summit only 2.5 km from my home QTH. From the base of the mountain the climb to the summit takes about 20 to 25 minutes to cover 1.2 km, less time when my K9 buddy is pulling me up the mountain as his attention is drawn to mobs of Eastern Grey Kangaroos. 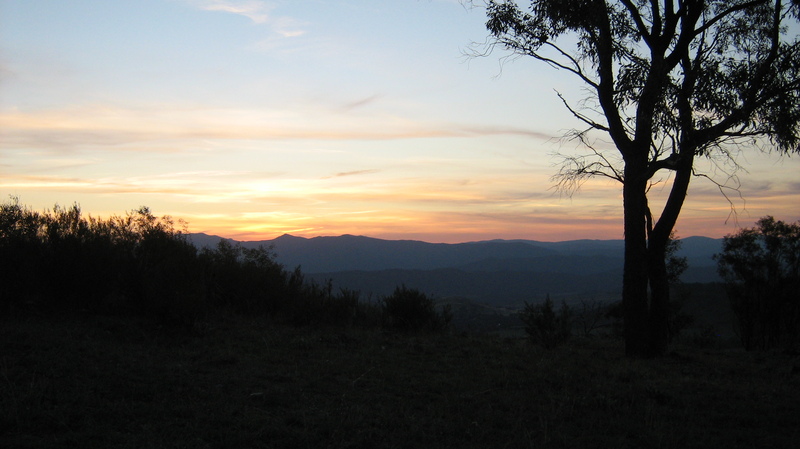 I have activate Mt Taylor 33 times in 3 years, this activation is the 1st for 2016 therefore 1 activator point is on offer. The SOTA 6 and 10m Challenge concludes on Sunday at 11 am local so I thought I might have a second shot at short path propagation to Europe with an aim to harvest a couple of unique callsigns. My first attempt at 10m EU short path was last Friday which (IMHO) for me and the chasers in Russia and Europe produced a good outcome for all involved. First chaser on 70cm 439.00 MHz FM was Tony at 0703 UTC (18:03 local). Next in order were Roald VK1MTS and Al VK1RX/m. I really didn’t want to rely on Tony’s second callsign VK2VIC/1 to qualify on 70cm so Tony called in a favour with Nick VK1NK. Thankfully Nick called at last light 0920 UTC (20:20 local) for the fourth unique chaser on 70cm. I posted many alerts over a 2 hour period requesting chasers call me on 70cm, in the end the process to qualify the summit on 70cm took 2 hours and 20 minutes. 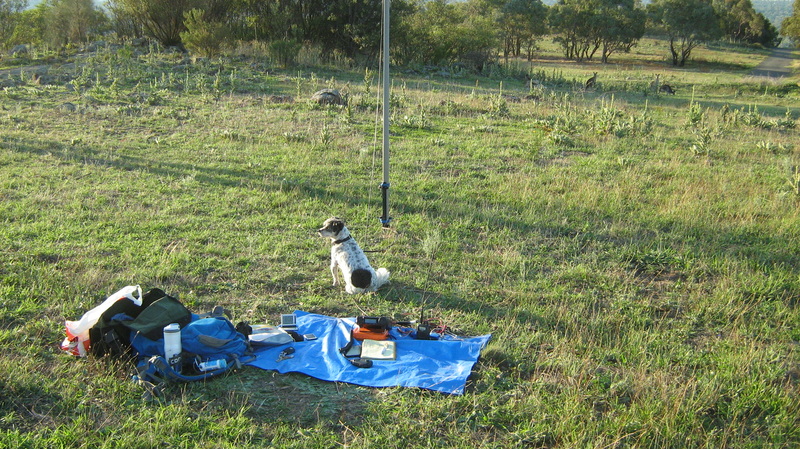 Moving on to the SOTA 10m Challenge, 10m opened to the UK at 08:45 UTC (19:45 local) with Mike G6TUH pushing 5-8 on the FT-857D digital signal meter. As quick as the band opened it closed 15 minutes later, having worked Geoff G4ACS, Dave M5AFD and Phil G4OBK for four unique callsigns. 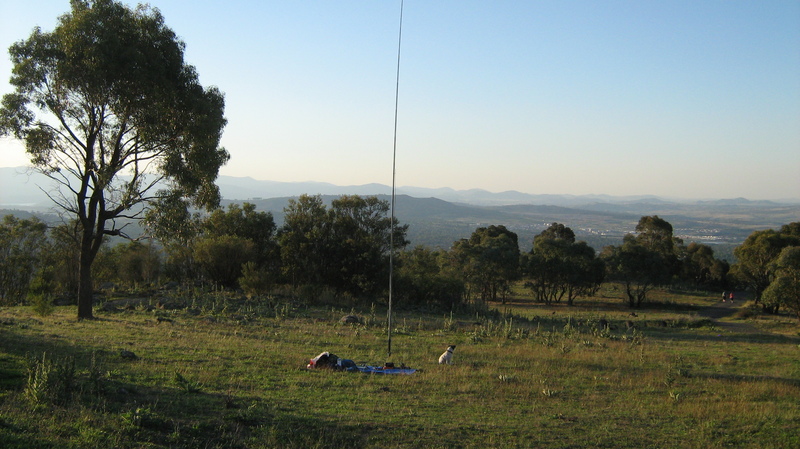 Mike and Phil are regular chasers of VK summits on 20m 14 MHz. Thanks to the local chasers on 70cm and a big thanks to Mike, Geoff, Dave and Phil in the UK for four unique callsigns on 10m. Very quick opening for 10M! !